Armed with a 2.5-liter 4-cylinder engine with 203 horsepower, you'll get up to speed quickly. Get comfortable when you take a seat in SofTex-trimmed front bucket seats. Access your music collection with Entune 3.0 Audio which includes 6 speakers and a 7-inch touchscreen display. 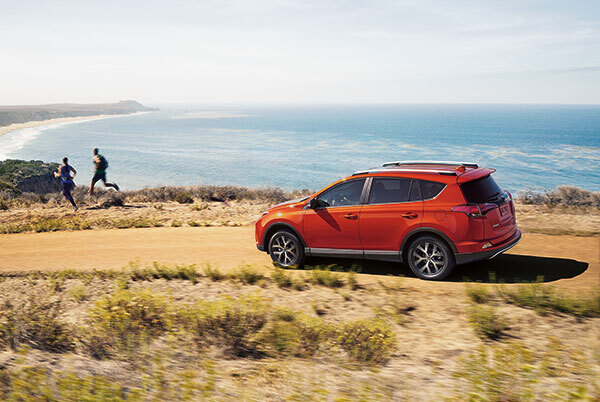 Featuring an integrated backup camera, the 2019 Toyota RAV4 LE strives to make your life easier. Stay warm on cold days with heated front seats. The 2019 Toyota RAV4 XLE features black-painted roof rails so you can secure your gear on the roof. The 2019 Toyota RAV4 XLE Premium rides on 19-inch multi-spoke super chrome alloy wheels that'll shine bright wherever you go. Featuring a power moonroof, the 2019 Toyota RAV4 XLE Premium has the features you want.